A dining chair makes the dining set complete and perfect with two simple elements, comfort and style. 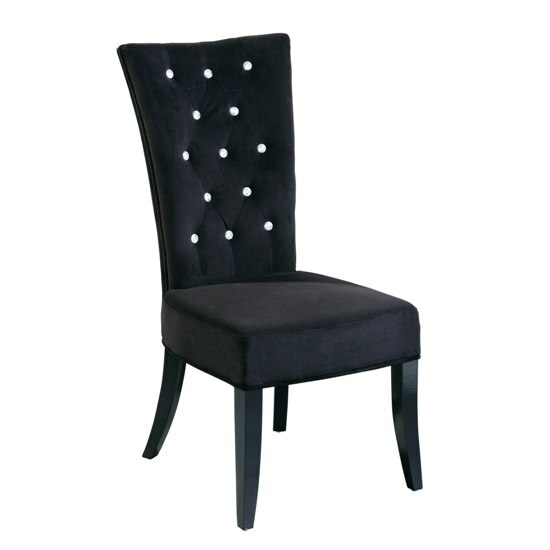 Dining chairs should be fashionable, stylish as well as comfortable. There are many shapes and sizes to match the interior of any kind of decor. The various materials that chairs are made of are wood, metal, leather and so on. The functionality of each type of chair has its own advantages. Wooden dining chairs are very formal, durable and they can be customized to suit any type of interior. The wooden chairs can also be upgraded to cushion seat pads with removable covers for easy cleaning. Seats padded with soft leather offer a grace and perfection to the dining room. They are also available in attractive designs and shades. Dining chairs made of metal are very modern, sleek and durable. They are suitable for all types of occasions and tastes. Metal dining chairs have an everlasting appeal for all age. Another variety of dining chair is the foldable type with stackable design, so that they can be folded and preserved for later use. It often happens that there will be some extra guests unexpectedly. At such times, it is essential to have folding chairs that offer a lot of convenience, particularly for larger scale events, formal or informal. Though there are a lot of choices while buying dining chairs, basically, they should be durable, comfortable, and stylish and suit the decor of the place. The shapes of the chairs can also be round with complicated scrolling or plain with square backs. Upholstered seats create a lot of comfort. Dining chairs at the end of the dining table can be either of closed or open arms. Needless to say, the dining chairs should complement the size of the dining table and the dining room. The distance between the table legs and distance from the edge of the wall should also be taken into consideration.